> ALL THOUGHTS WHICH HAVE BEEN EMOTIONALIZED, (given feeling) AND MIXED WITH FAITH, begin immediately to translate themselves into their physical equivalent or counterpart. > It is almost certain you won’t. > The man who wins is the man who thinks he can. > …the subconscious mind will translate into its physical equivalent, a thought impulse of a negative or destructive nature, just as readily as it will act upon thought impulses of a positive or constructive nature. This accounts for the strange phenomenon which so many millions of people experience, referred to as ‘misfortune,’ or ‘bad luck. > There are millions of people who BELIEVE themselves ‘doomed’ to poverty and failure, because of some strange force over which they BELIEVE they have no control. They are the creators of their own ‘misfortunes,’ because of this negative BELIEF. We recorded episode 405 recently (which was titled, [“I want to share myself with the world, but I also kind of want to live in a cave”]), and there were a lot of questions we didn’t get a chance to answer. We decided to break the into two episodes. Today’s episode is a continuation of e405. How did I go from 6-year-old Sean, who stood behind the door the entire class, to the Sean today who’s on video and live streaming three times a week and recording himself on video? How does that happen? We also talk about the fear of putting yourself out there. What will people say? What if you’re wrong? What if they disagree? What if you get haters? 2020 is my sabbatical year. I take off every seventh year, and 2020 will be my first seventh year sabbatical since starting in 2014. I’m taking the whole year off, and as per the only rule of sabbaticals, I have no definite plans. I have a lot of ideas of things I might do, but I’m not scheduling anything for the sabbatical. 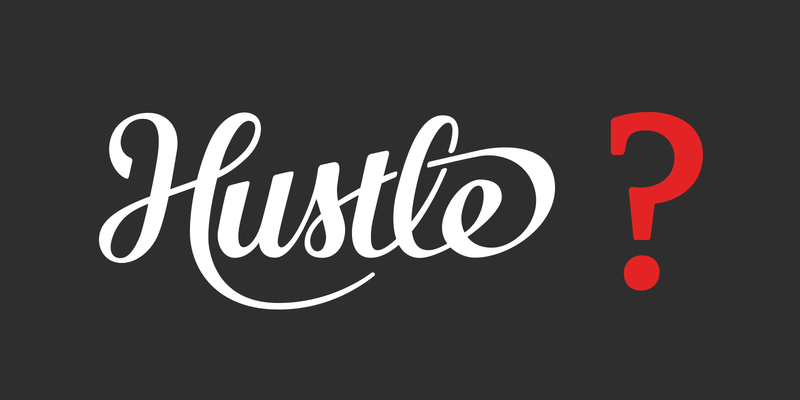 Taking a year off is maybe the scariest thing this recovered workaholic has done. But in recent years, that fear has turned into excitement, and I’m really looking forward to the experience. It sounds like it may be Ben’s first time really thinking about it. We talk about what might happen. Will we continue the show? Will Ben record without me? What’s going to happen? I know myself well enough to know that I will want to document my journey of taking a year off. However I decide to document the sabbatical year, you’ll find any new blog posts, videos, or whatever I do over at https://sabbatical.blog. Chapter 2 of Think and Grow Rich talks about desire. This chapter focuses on translating desire into reality. The book get straight to the point on providing 6 methods for transmuting desire into its financial equivalent. They’re endorsed by Thomas Edison, if you needed any social proof. But this is where the book leaves behind people who are confused about money. There are those who think it is wrong to desire money. They’ve been taught to be poor and to detest the pursuit of money. They were taught that money is evil. Money is only a multiplier of purpose. If you don’t want money, you don’t care about your purpose. Money = impact = leverage = time = freedom. Want more time with your family? You desire riches. Want more freedom in how much you work—as well as where and when? You desire riches. Want to make a difference in the lives of your family, community, and causes you care about? You desire riches. Want more opportunity to pursue any project or experience in life—including doing things other than work? You desire riches. 2. The knowledge of what one wants. 3. A burning desire to possess it. 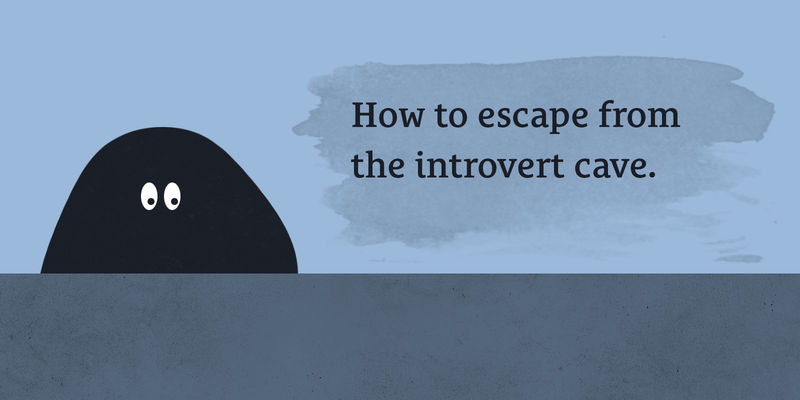 Ahh, my fellow introvert. How I love thee. I know you well. At age 6, I used to stand behind the classroom door to avoid having to interact with the other kids. At age 30, I can’t say my love of solitude has ever gone away. In fact, I enjoy my peace and quiet all the more. I stream three live shows each week. I record myself on video every day. I speak in front of crowds. I actually pay money and go out of my way to attend conferences with hundreds, and even thousands, of people. Why, oh why, would I ever do such a thing? I feel you. If there was ever anything I empathized with, it’s the notion of wanting to stay out of the limelight while at the same time feeling a burning desire to share my message. This episode is a fun ride. Join us in diving into Think and Grow Rich—the product of twenty-five years of research, analyzing the success of more than 25,000 wealthy individuals. Discover the fundamentals of success and 13 principles of money-making. You should read Chapter 1 of Think and Grow Rich before listening to this episode. This episode is not meant to replace the book. Rather, it is meant to serve as a commentary and further discussion on the application of the book’s 13 principles in a 21st century world. 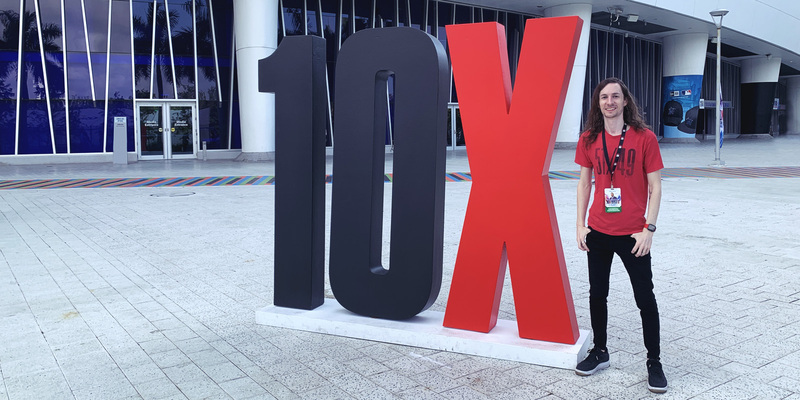 I just got back from 10X Growth Conference 2019. I’m feeling invigorated and on-fire. It’s no hyperbole that the talks were life-changing for me. I had 3 major revelations, and I’m going to share them in today’s show. If you’re ever wondered, “What the point of conferences? I don’t really see the value…” it’s about to become abundantly clear. Today, I’m going to share ALL of it—including my new big 10X goal. This is the first episode of a new weekly show with Sean (that’s me) and Ryan McCabe. Ryan is going to be great. You’ll know this as soon as you hear him speak. Yet, Ryan and I rarely ever spoke with each other, save for the occasional text message! Unless there was a specific reason to call, we didn’t often see each other outside holidays with the family. That’s how this show started: Weekly calls between two brothers shared with the world. If you’ve read the book, before, read it again. We don’t yet know what our weekly conversations will look like, but we know the first four months of this show will involve going through the entire book, Think and Grow Rich, one chapter per week. The book was written in 1937 and it is now in the public domain. You can purchase the book if you like, but lacking money is no excuse not to read it as you can easily read the book online for free. ⭐️ Simply search the web for “Read Think and Grow Rich”. Can you listen to the podcast without reading the book? Yes, but you rob only yourself. This initial series is not intended to replace the book but rather to deepen your understanding by engaging in deeper discussion and commentary. Is this podcast a book club show? No. 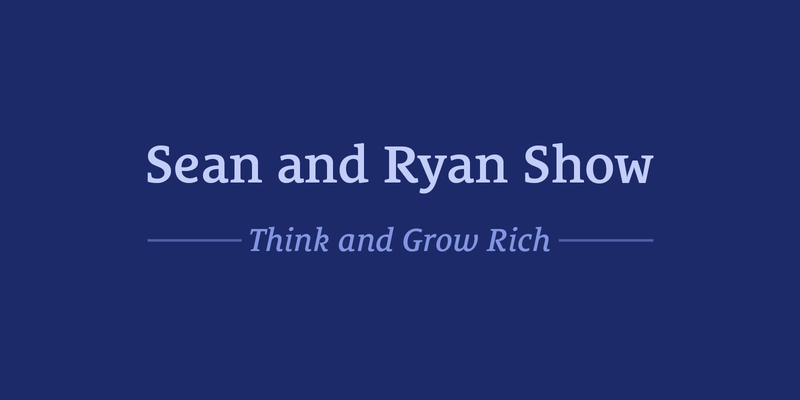 We are starting this podcast with the book, Think and Grow Rich, to lay a foundation for the conversations Ryan and I have. We will do normal, conversational, or topical episodes in the future. We may also decide at some point we would like to go through another book with you, but that remains to be seen. 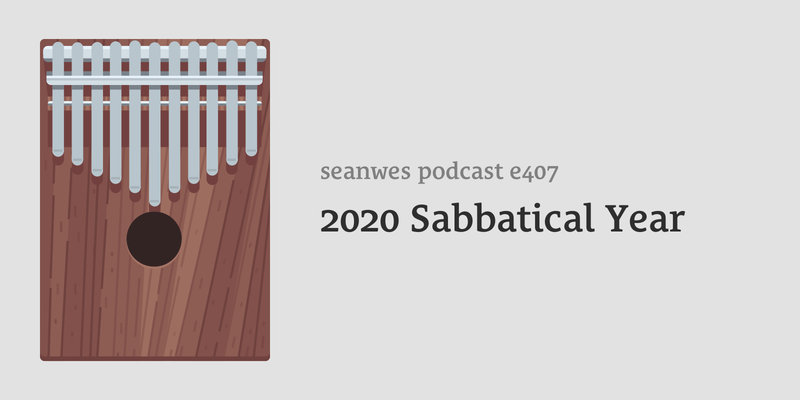 I’m subscribed to the seanwes podcast—do I need to subscribe to a new feed to get this show? Nope. New episodes will come out on the same feed you’re already subscribed to. Nice and convenient! This episode is an introduction to the book club we’re starting next week. You will learn how this book transformed not just Ryan’s life, but also the life of our brother, Caleb. Coincidentally, Ryan and Caleb have gone through the book together, meeting weekly in person. You’ll hear a bit about our backstory as brothers. Finally, you have your homework assignment and one week to complete it: Get the book, Think and Grow Rich, and read Chapter 1. Next week’s episode will be dedicated to discussing this initial chapter.